The light brown fancy suit is featured in net fabric. The fancy lace suit is intricately textured using beautiful zardosi embroidery. 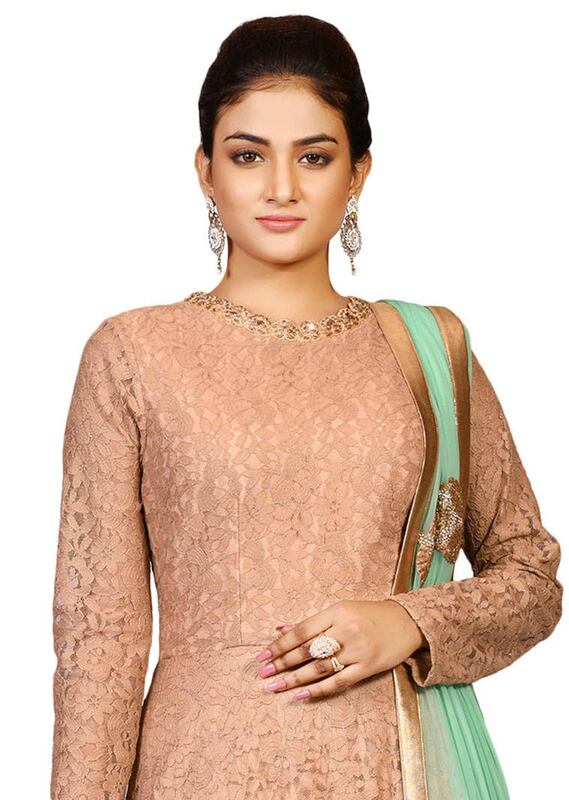 The suit is set together with sea green dupatta with golden lace at the borders. All in all the commixture of both the colors won't fail to give you that princess look.